Home People Primary Faculty Lee Sweeney, Ph.D.
Dr. Sweeney’s basic research interests are focused on molecular motors of the myosin superfamily. Most notable among his accomplishments on molecular motors are the first visualization of structural rearrangement of the myosin lever arm, a detailed analysis of how processive myosins are engineered, a demonstration of the structural changes induced by actin-binding and nucleotide release, and the discovery and molecular dissection of the only known reverse-direction myosin. Much of Dr. Sweeney’s research program is translational in focus and has produced highly cited research on inherited forms of cardiovascular disease and on the skeletal and cardiac aspects of muscular dystrophy. Dr. Sweeney was elected as a Fellow of the American Heart Association in 2001. He has been the director of a Paul Wellstone Muscular Dystrophy Cooperative Center since 2005, which is now competing for renewal as a University of Florida (UF) Wellstone Muscular Dystrophy Cooperative Center. Dr. Sweeney is actively developing therapeutics for rare diseases that include both small molecule and gene therapy approaches. 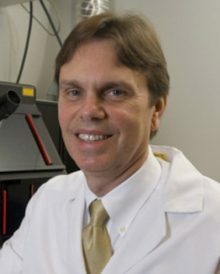 He serves as a consultant to a number of industry therapeutic development efforts for Duchenne muscular dystrophy and spinal muscular atrophy. Dr. Sweeney is well-known in the popular press for his gene-therapy approaches to permanently block the loss of age-related muscle size and strength in mice. The technique suggests that therapies for humans could reverse the feebleness associated with old age or slow the muscle-wasting effects of muscular dystrophies. Based on the enhancement this creates in healthy young animals, Dr. Sweeney has been widely sought as an expert commentator on the potential for gene “doping” in sports, as well as on the bioethical issues surrounding genetic enhancement. In 2004, this work led to Dr. Sweeney being among those chosen by Esquire Magazine as the “Best and Brightest” in America. Dr. Sweeney is also heavily involved in small molecule therapy development for muscle disease. In 2007, he and his collaborators at PTC Therapeutics (a small NJ biotech company) published the development of a compound (PTC 124 or ataluren) that allows read-through of nonsense mutations (premature stop codons) in a variety of genetic disease models. The drug is in clinical trials for Duchenne muscular dystrophy and Cystic Fibrosis. For this work, Dr. Sweeney was awarded a Hamdan Award for Medical Research Excellence from Sheikh Hamdan of Dubai in 2008. On May 23, 2014, ataluren was granted conditional European approval for the treatment of Duchenne muscular dystrophy (DMD), making it the first approved drug for this disease. Aartsma-Rus A, Ferlini A, McNally EM, Spitali P, Sweeney HL; workshop participants. 226(th) ENMC International Workshop:: Towards validated and qualified biomarkers for therapy development for Duchenne muscular dystrophy 20-22 January 2017, Heemskerk, The Netherlands. Neuromuscul Disord. 2018 Jan;28(1):77-86. doi: 10.1016/j.nmd.2017.10.002. Epub 2017 Oct 26. McDonald CM, Campbell C, Torricelli RE, Finkel RS, Flanigan KM, Goemans N, Heydemann P, Kaminska A, Kirschner J, Muntoni F, Osorio AN, Schara U, Sejersen T, Shieh PB, Sweeney HL, Topaloglu H, Tulinius M, Vilchez JJ, Voit T, Wong B, Elfring G, Kroger H, Luo X, McIntosh J, Ong T, Riebling P, Souza M, Spiegel RJ, Peltz SW, Mercuri E; Clinical Evaluator Training Group; ACT DMD Study Group. Ataluren in patients with nonsense mutation Duchenne muscular dystrophy (ACT DMD): a multicentre, randomised, double-blind, placebo-controlled, phase 3 trial. Lancet. 2017 Sep 23;390(10101):1489-1498. doi: 10.1016/S0140-6736(17)31611-2. Epub 2017 Jul 17. Hammers DW, Merscham-Banda M, Hsiao JY, Engst S, Hartman JJ, Sweeney HL. Supraphysiological levels of GDF11 induce striated muscle atrophy. EMBO Mol Med. 2017 Apr;9(4):531-544. doi: 10.15252/emmm.201607231. Hammers DW, Sleeper MM, Forbes SC, Coker CC, Jirousek MR, Zimmer M, Walter GA, Sweeney HL. Disease-modifying effects of orally bioavailable NF-κB inhibitors in dystrophin-deficient muscle. JCI Insight. 2016 Dec 22;1(21):e90341. doi: 10.1172/jci.insight.90341.